I can’t get enough of the Gangnam Style craze that’s going on right now. What? You DON’T know what Gangnam Style is yet? Well, come out from under your rock and learn. As if that video wasn’t cool enough, I fell further in love with Psy when I saw him on the Ellen Degeneres show. He came on to teach Ellen and Britney Spears how to do the Gangnam Style dance. That has become my favorite phrase this season. My motto, my mantra, my signature. Dress classy and do everything else cheesy. 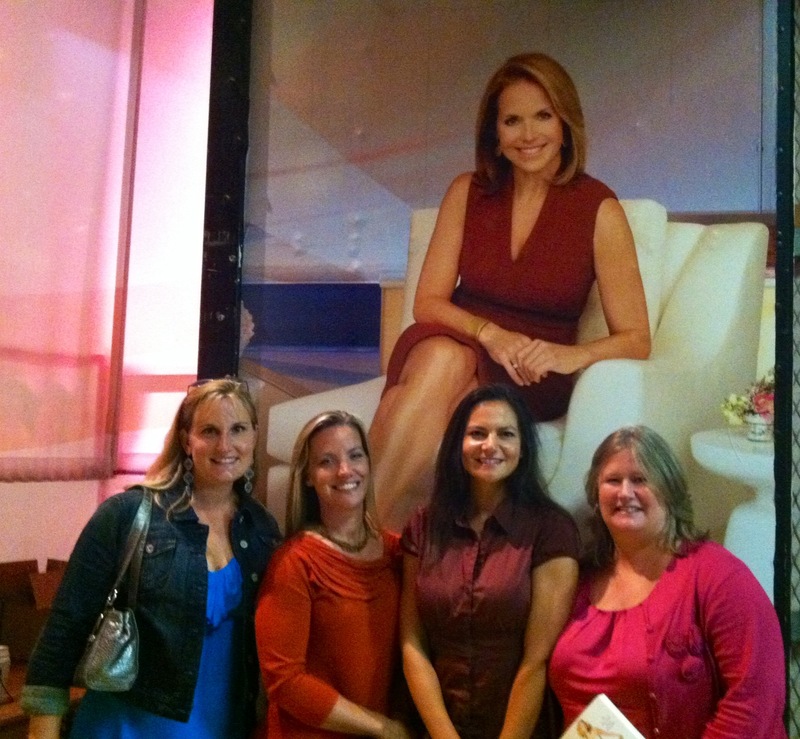 I started my efforts yesterday when I went out to the new Katie Couric show in the city with some girlfriends. 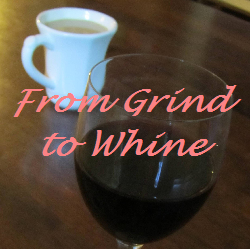 I had gotten the tickets through the BlogHer Conference I attended back in August. Luckily for me, I was given the opportunity to bring some friends along for the experience, too. The Katie Show ticket department sent us an email encouraging us to wear bright colors and to dress to impress. Thanks to a TJ Maxx gift card, I found the perfect turquoise knit dress to wear. Bright, solid turquoise with an empire waist, a deep v-neck and a feminine ruffle for only $19.99. Can you say Whatabargain? Off we went, all dolled up to see Katie (yes, we’re on a first-name basis these days) interview Chelsea Handler. While I’ve loved Chelsea Handler’s late night show for a while (when I can manage stay awake that late), I especially enjoyed her live on the show. She is sarcastic and blunt and has such great dry wit and fantastic timing. We could totally be friends. And I love that she outed Katie for having her own snarky side of her personality during the interview, too. Watching the taping of the show was tons of fun, and we all managed to retain our class-acts while there. When we went out to lunch, however, we would have made Psy proud. Four girlfriends, away from their kids and husbands, enjoying margaritas over lunch in the city take no time at all to go from classy to cheesy in no time flat. While girlfriend conversation is sacred and can’t be shared on my blog, suffice it to say, our waiter was laughing at us by the time he brought us our check, obviously disappointed that he couldn’t convince us to down more NYC-priced margaritas during his shift. We looked great and loved our day out together, enjoying a rare excuse to dress up. But more than that, we loved the laughter that brought us to tears over lunch. The four of us right after the Katie show taping. Socially acceptable before margaritas over lunch. After-lunch photos are being reserved only for blackmail purposes. Great girlfriends can make any situation a fun time. When you start with a kid-free day in the city, seeing a show, going out to lunch and walking around the city, it can’t help but be a classy day to remember. Add in margaritas with friends and a close-quarters train ride and the cheesy will take care of itself. I still have to work on the dress classy part for my day-to-day life, as I aspire to live the Gangnam Style mindset. I have complete confidence, though, that I’ve got the cheesy covered. Nothing like girlfriend time! I definitely concur!